(Oregon Coast) – It's the official kick-off to the summer season, and it will be a big one. Memorial Day weekend on the Oregon coast is a wild and woolly affair, and there's much fun to be had. But several travel tips not often mentioned are important for an even better time – and less frustration. (Photo: a secret spot like this one at Neptune State Park near Yachats will be less crowded over Memorial weekend). Lodging Melee. Rule Number One: book your lodging now. Many hotels, motels and vacation rentals are already filled up, and most will be completely filled up just a few days before the weekend begins. Don't leave this to chance. Prices also can greatly increase the closer you get to the holiday. If for some reason you wait to try and find a room last-minute while you're on the coast, you could easily pay a hundred or more dollars over the regular room rate. If you're having serious trouble finding availability, vacation rentals sometimes have a few more openings than regular lodgings, but they are more spendy. 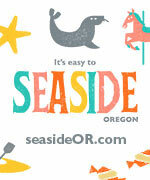 Check this for Oregon coast lodging now. Leave Later on Sunday – or on Monday. Sunday most often means a massive exodus from the coast. The afternoon hours can be like Portland in rush hour traffic. Wait until just after sunset if you have to go home on Sunday – you'll make it much faster. Monday afternoon can be just as bad at times, but usually it's thinned substantially. Watch Your Speed – Sting Spots. Because of the much heavier traffic, expect a sizable police patrol. It will be thick along the highways of the Oregon coast range, but also in towns like Newberg or McMinnville that Highway 18 passes through. Be especially cautious between McMinnville and Sheridan along Highway 18 as the sudden speed limit changes may be a surprise, even in the wide open countryside. Sometimes numerous patrol vehicles are clustered at the big rest stop in the coast range on Highway 26. Most often, however, officers are cruising in both directions and can easily see if you're speeding in the opposite lane. Other areas on the coast to look out for include the stop signs at Laneda in Manzanita, Brooten Road just north of Pacific City and those in Newport's Nye Beach. Day Trip Tips: If you head out just for the day – and this is true any time of the year – bring an extra pair of pants, socks and shoes. Bouncing around the beach, it's easy to get soaked by accidentally falling in a stream or hit by a large wave. Above all, bring a warmer jacket as the sunset hours get chilly fast. Be prepared for all kinds of weather. Caution on Rocky Areas. If you’re going to explore rocky tidal areas, bring shoes that stick well and don’t slip too easy. It’s likely what you’ll be doing is some kind of climbing, at least in a minor way. Sneakers or hiking boots are best for these areas. Always be careful of extremely slippery areas on the rocks, usually found on green spots near the tide. These green areas should be a red alert for you: it’s extremely treacherous while wet. Falling on your back or head here is even more risky business, especially since you’re close to the water. Keep Beach Safety in Mind. Always keep your eyes on the ocean – and do NOT go where the signs tell you not to go. They're there for a reason. On rocky ledges, stay clear of the outer edges. If you see the area is already quite wet or witness a few waves splashing there, stay back from that spot. Stay away from logs in the surf, as it doesn't take much water to make them move and they could roll on you. Much more on beach safety here.